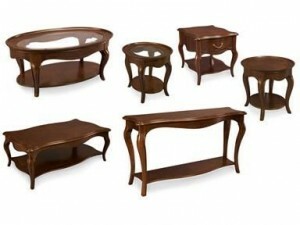 To clean wooden furniture use a soft damp cloth. If your wooden surfaces are extensively used you could use some mild dishwashing liquid and warm water. Make sure the dish washing liquid has no harsh chemicals which can discolor the wood. Once you have cleaned your surfaces, you could let them air dry or use a dry damp cloth. Once your furniture is dry, you could apply a good quality paste wax (one that is specifically used on wood) on your furniture. Do this by applying a thin coat of wax on a dry clean cloth. Wait for the wax to dry for approximately 30 – 60 minutes and buff the polish with another dry soft cloth. If you see any cracks or scratches, you could apply a little bit of shoe polish (make sure it is the same color as your furniture) on the cracked or scratched areas. In summer months ensure that your furniture is away from direct, strong sunlight. Direct sunlight can discolor and weaken wood furniture. You can reduce sun exposure by drawing your curtains or blinds after noon each day. In winter months, ensure that your wooden furniture is not near a heating vent or a fire place. Strong heat, can crack wooden surfaces. Reduce winter dryness using a good quality humidifier.